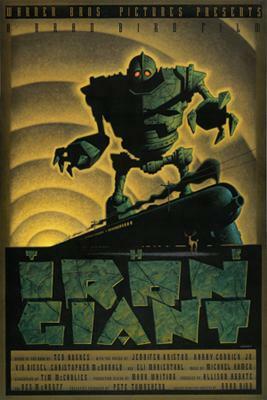 This is a beautiful limited edition print on canvas of artwork done by Mark Whiting for The Iron Giant (1999). This re-issue of the original print was released in an edition of only 100 in honor of the film's 10th Anniversary. The print measures 37.5" x 24.75". It ships rolled -- please allow one (1) week for handling.